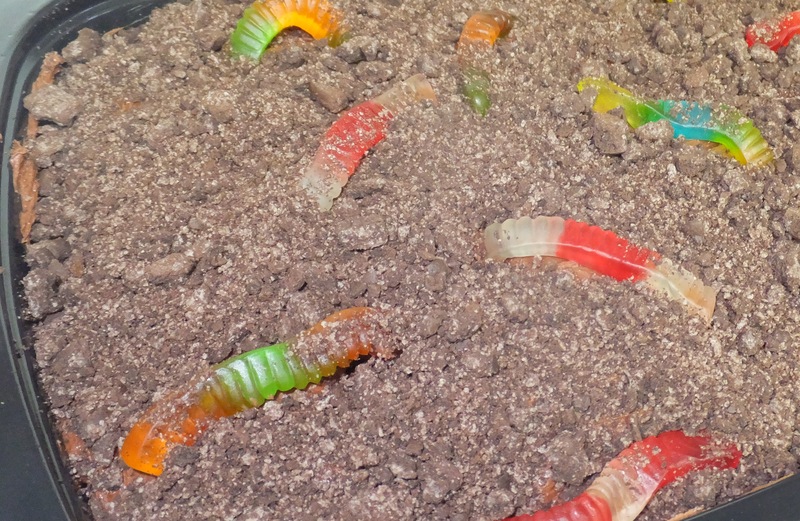 There’s nothing like wormy cake. But wormy cake made by two of my favorite people really takes the cake. A few weeks ago my 6-year-old was asked to bring a cake to auction off at his Cub Scout Blue and Gold Banquet. Sure, no big deal, we could whip something up, right? The catch…it had to be baked by him and his dad. I stayed out of the entire process – something that isn’t really easy for me to do – and it turned out great! My husband came up with a dirty, wormed-filled theme and they headed to the store to grab supplies. Then they dove right in. I wasn’t home when they baked the cake, but I got to see them decorate it. 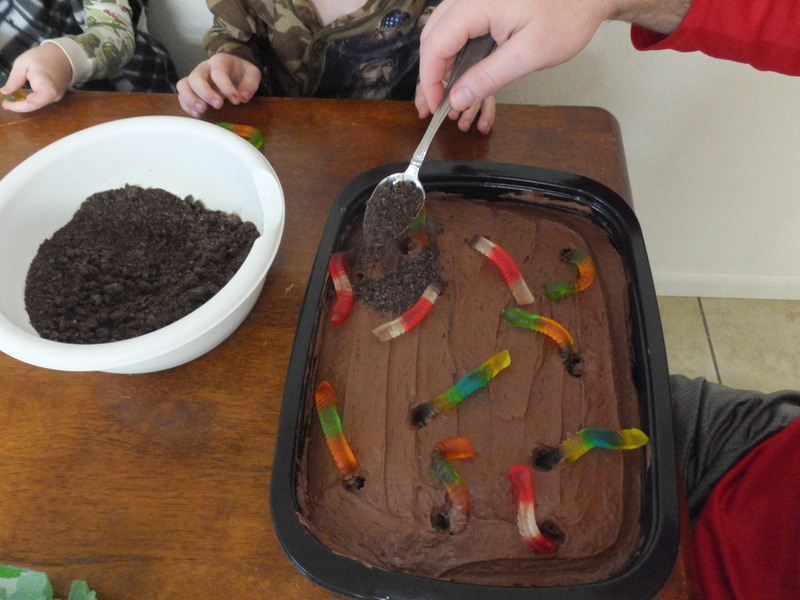 I loved watching my husband help our son sprinkle crushed up Oreo “dirt” onto the frosting. My son smiled the whole time he was sticking gummy worms on top. When we got to the banquet, I couldn’t believe the creativity and talent of the father and son teams. One of the cakes was decorated like a target and had a real arrow stuck inside. Our wormy cake went for $30 at the silent auction. (We weren’t going to be outbid). When I first heard about the boys baking cakes with their dads I wondered why the scout troop started this fundraising tradition. Then as I watched my eager son working hand and hand with his dad and saw the smile on his face when people bid for his dessert, I knew why. I hope they bake another cake together soon.